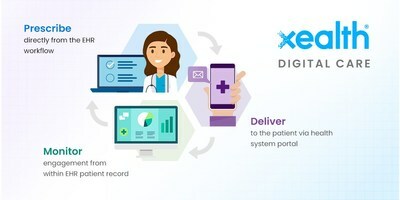 SEATTLE, March 27, 2019 /PRNewswire/ -- Xealth, the leading digital prescribing platform, today announced that it has raised $11 million in a Series A financing round, with new investment from health care industry leaders and investors McKesson Ventures, Novartis, Philips and ResMed. Also joining this round are existing investors Threshold Ventures (formerly DFJ Venture), Providence Ventures, UPMC and Froedtert and the Medical College of Wisconsin Health Network. This investment will fuel the expansion of Xealth's platform, better connecting patients and doctors.